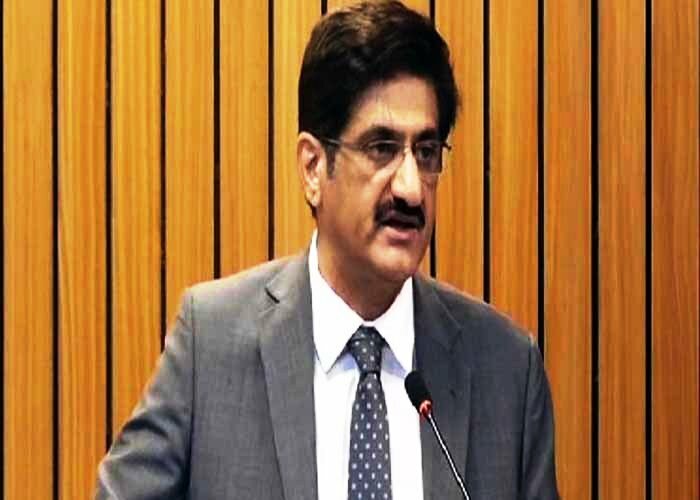 KARACHI: Sindh Chief Minister Murad Ali Shah on Tuesday said that the Pakistan People’s Party (PPP) accepted all the decisions of the court, adding that it would face all the corruption cases made from the report of the joint investigation team (JIT) formed in the money laundering case. He said this while talking at the mausoleum of Quaid-e-Azam Muhammad Ali Jinnah on the occasion of his 142nd birth anniversary. On Monday, the Supreme Court (SC) barred the trading and transfers of the properties of the Zardari Group, Bahria Town and Omni Group after a report submitted by a JIT held them responsible in the mega money laundering and fake accounts case. Soon after the court’s Monday proceedings, PPP rejected the report and dubbed it “fictitious”. “We are ready to face the courts for serving the people,” CM Murad said. Talking about subsidies given to Omni Group and others, he said that since 2008-9 the provincial government has been giving subsidies on different items such as tractors, electricity, wheat and sugarcane just to encourage production and consumption. He said that the provincial government had given subsidy to power plants to reduce load shedding, gave subsidy on tractors to strengthen small farmers, gave a subsidy of Rs12 on sugarcane and has been giving subsidy on wheat since long. 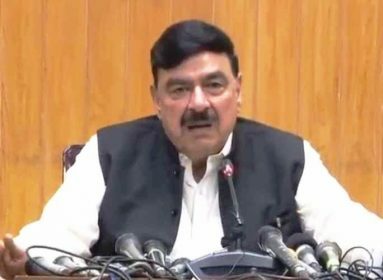 He added that there was a prolonged load shedding of 18 to 20 hours in the province, therefore, power plants were given subsidy so that load shedding could be controlled. “All this had been approved within the ambit of law,” he added. CM Murad said that he was surprised to note that the JIT report was leaked to the media much before it was submitted in the apex court. “A TV anchor conducted my interview on the JIT report at least five days before it was officially submitted in the court,” he said and added that “to leak the JIT report was wrong and against the directives of SC”. He hoped that SC and other concerned agencies would take necessary action against the officers who leaked the JIT report. To another question, the chief minister said that he has gone through the JIT report but there was nothing serious against him in which he could be prosecuted. 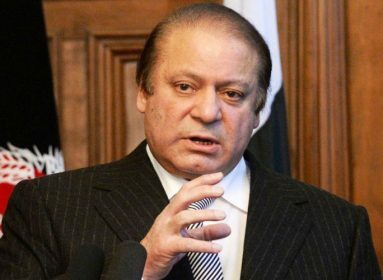 “We, as a government have done each and everything as per law,” he said and giving an oblique reference of subsidies, said that summaries were moved and approved as per rules of business and the cabinet also approved them and the assembly had enacted the law, and this has been acknowledged in the JIT report. CM Murad said that the JIT had also conceded that they could not complete the investigation within two months but even then the fingers of accusation had been raised against the government, which was quite surprising for him. Responding to a question about the recent incident of target killing in Nazimabad, the Sindh chief minister said that it was being probed thoroughly and the culprits would be brought to book. 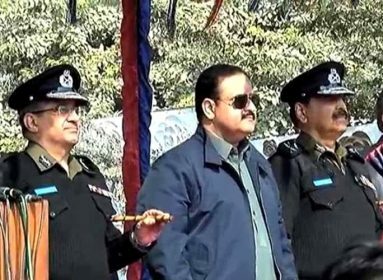 “After the incident of Army Public School (APS), Peshawar we had launched an intelligence-based well-organised targeted operation against terrorists, target killers and extortionists in the city,” he said and added that “our army, Rangers, police and the intelligence agencies worked day and night and eliminated all the terrorists and their networks”. He said that he, along with Sindh Governor Imran Ismail and cabinet members had visited Mazar-e-Quaid to reiterate his commitment to work for a prosperous Pakistan. “Today is the birth anniversary of father of nation and we are here to pay tribute to him and to reiterate our commitment to maintain law and order, work in health and education sectors and make Pakistan, particularly Sindh, a healthy, wealthy and peaceful province,” he said. Earlier, the chief minister laid a floral wreath at the Mazar-e-Quaid and offered fateha and recorded his impressions in the visitor’s book. The money laundering case was initially registered in 2015 against former Pakistan Stock Exchange (PSE) chairman Hussain Lawai, who is widely believed to be close to former president Zardari. Besides the ex-president and his sister, real estate tycoon Malik Riaz’s son-in-law Zain Malik and 14 other bankers and businessmen have been booked in the case pertaining to alleged laundering of Rs4.14 billion through 29 ‘fake’ bank accounts, while Hussain Lawai, Taha Raza, Anvar Majeed and Abdul Ghani Majeed have been detained for their alleged involvement in facilitating the transactions. Investigations so far have revealed that several ‘benami’ accounts at some private banks were opened in 2013, 2014 and 2015 from where transactions worth billions of rupees were made. The amount, according to the FIA, is said to be black money gathered from various kickbacks, commissions and bribes.